When Brigham Young High School was closed in 1968, that action affected many students from K ~ 11th Grade who had planned to attend and graduate from BY High. They were all forced to leave and complete their secondary educations elsewhere. At the request of many who were students in those years, the classes of 1969 through 1980 have been added to this directory as honorary alumni of BY High School. 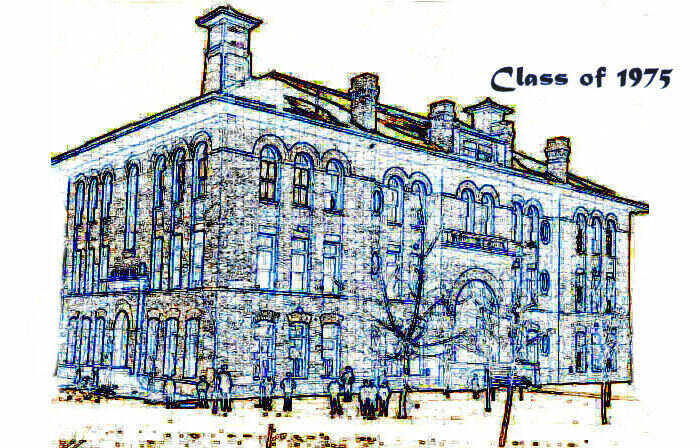 Sometimes called the "Ghost Classes of BY High", all of them -- K through 11 -- were included in the historic final BYH Wildcat Yearbook published in 1968, along with the final graduating class of 1967-1968. Those particularly marked as "Honorary" left a year or more before the 1967-1968 school year. Class of 1975 ~ Honorary. Philip Macdonald Ballif. Attended BY Lab School K-3, and was a member of the future class of 1975. Phil and his family moved out of the neighborhood of BY Lab school when he was in the middle of 3rd grade; he attended another school from 4th grade on. His sister, Gigi Ballif Arrington is a member of the BYH Class of 1974. His father is George Eggertson Ballif [BYH Class of 1945 ~ Honorary? ), who was an attorney in Provo, and her grandfather was George Smith Ballif, a judge in Provo. Phil married Cindy. Class of 1975. John Brown. Class of 1975. Clarissa Bushman. Class of 1975. Kristine Clark. BYU Hawaii 1977. BYU University Studies 1981. Kristine married ______ Chapman. Class of 1975. Kristin Cook. BYU BS Finance 1980. Kristin married Steven L. Lambert. Class of 1975. Cynthia Covey. BYU BA History 1981. Cynthia married Kameron Haller. Class of 1975. Tom Darais. BYU AA Spanish 1981. BYU Business IPA 1983. BYU Accounting MACC 1983. Faculty & Staff. Mr. LaMar Drew. BYU Training School up to May 1968. BYU BS Education 1959. BYU MS Education 1969. He taught the Fifth Grade, and was loved and appreciated by his students. Lamar H. Drew married LaRene. ~ ~ ~ ~ His parents: Elwood Drew and Annie Aleta Huggard Drew of Lehi. Their children included: Robert (Bob) Elwood Drew, Lehi; LaMar (LaRene) Drew, Alpine; Stanley (Ava Dean) Drew, Pocatello, Idaho; Lee (Connie) Drew, Lindon; and Dorothy Drew (Roy) Loveridge, Alpine. Class of 1975. Richard Hartvigsen. BYU BA International Relations 1982. BYU JD Law 1985. Richard M. Hartvigsen married Danielle. ~ ~ ~ ~ Alternate address: 8984 Timphaven, Provo, Utah 84604 - (801) 221-9684. ~ ~ ~ ~ His parents: Melvin Richard Hartvigsen and Jessie May Myers, married December 30, 1950, of Provo, Utah. Their children included Laurie Hartvigsen [BYH Class of 1972] (Neil) Lindberg; Richard Myers Hartvigsen [BYH Class of 1975] (Danielle); Shelly Hartvigsen [BYH Class of 1978] Unga; Jeffrey Arthur Hartvigsen; and Darren Kelly (Amy) Hartvigsen. ~ ~ ~ ~ Richard Hartvigsen, employed by Nu Skin Enterprises. Class of 1975. Lauralee Monson. BYU Music 1992. Lauralee married Kerry Sorensen. Class of 1975. Rosemary Reynolds. BYU BA Home Economics Education CMP 1978. Teaching Certificate Home Economics Education CMP 1978. BYU MS Home Economics Education 1983. Rosemary married Michael Markham in 1982. They have two children: Steven Markham and Sharon Markham. Michael Markham passed away due to cancer in 2005. Class of 1975. Paul Riddle. BYU Business Fundamentals 1982. Paul A. Riddle. Class of 1975. Gary Robinson. BYU 1989. Gary R. Robinson. Class of 1975. Tyler W. Sheffield. BYU BS Accounting 1980. Northwestern State University - Alva, Oklahoma MBA 1982. Parents: Loftis J. Sheffield from Kaysville, Utah and Blanche Whitely Sheffield, from Oakley, Idaho, married in 1943. He worked for the FBI. They had eight children: Jane Sheffield (dec.); Eileen Sheffield Dorrity [BYH Class of 1963] of Salt Lake City; Roger W. Sheffield [BYH Class of 1966] of Highland; Mark Sheffield of San Jose, California [BYH Class of 1970]; Richard Sheffield of Provo [BYH Class of 1971]; Tyler Sheffield of Chicago [BYH Class of 1975]; Clark Sheffield of Lindon; and Nan Sheffield Black of Dayton, Ohio. Tyler recently moved to Provo from Chicago. @Oct 2006. Class of 1975. James Simonsen. BYU BS Mechanical Engineering 1982. James M. Simonsen. Class of 1975. Jane Sowards. BYU BS Administrative Management 1989. BYU MBA 1987. Class of 1975. Jeanne Strong. BYU BS Early Childhood Education 1978. Teacher Certificates for Early Childhood Education & Elementary Education 1978. Jeanne married Mark E. Schaerrer.